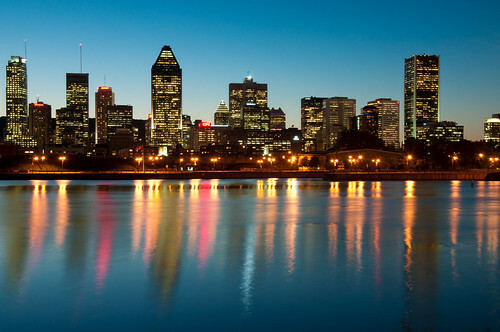 As you know, I have visited Montréal before, a few times (mostly for scholarly research) and I love it. Montréal is such a hub for the arts, both the fine and the performing ones. The lovely folks of Tourisme Montréal just told me about a contest they’re holding to bring indie bands to centre stage at POP Montréal 2012. Montréal, an epicenter for expression, creativity and cutting-edge talent, is giving indie-music bands and fans good reason to get amped up and to make some serious noise! Garage bands? Local-joint legends? Sharing your sounds on Soundcloud? Tourisme Montréal wants to hear you play and see you duke it out in the “Battle of the Bands.” Your killer sound could score a killer gig because the winning band will play two sets at POP Montréal International Music Festival, which takes place September 19-23, 2012. Other musicians making their way around Montréal’s Mile End this year for POP 2012 include Grimes, Purity Ring, David Byrne with St Vincent, Gotye, Change of Heart, Cadence Weapon and many more! To enter, visit THE CONTEST PAGE now through August 1 and apply by uploading a live video recording or a produced video of one original song, (written by the band, not a cover). It’s all about the music so entrants should feel free to take video on their mobile devices, tablets or other portable video recording devices! From August 3 – 13, be sure to share on social media to promote your video and get your fans voting! From family and friends to groupies and ex-girlfriends, amp it up! It’ll take their votes to secure a spot in the Top 20, from which eight semi-finalists will be selected and announced on August 16. There’s an interesting twist! Each semi-finalist will submit a cover video of Montréal-native Corey Hart’s 80s classic “Sunglasses at Night” by August 25. Facebook votes will narrow down the competition until only two finalists remain. POP Montréal will then select and announce the winner on Wednesday, September 5. The winning band will play two sets of their own original music during POP Montréal. One winner (up to five band members) will receive artist passes to the festival, round-trip air tickets (within North America) on Air Canada and three free nights accommodation at a four-star hotel in Montréal. POP Montréal International Music Festival, the event partner for “Battle of the Bands,” is an annual not-for-proﬁt curated cultural event that champions independence in the arts by presenting emerging and celebrated artistic talents from around the world. POP Montréal “Battle of the Bands” contest is open to residents of Canada and the USA.